Logistics is generally the detailed organization and implementation of a complex operation. In a general business sense, logistics is the management of the flow of things between the point of origin and the point of consumption in order to meet requirements of customers or corporations. The logistics of physical items usually involves the integration of information flow, material handling, production, packaging, inventory, transportation, warehousing, and security. 2. Do you move cars? Yes, AWL Corp does move vehicles. We will make certain that your vehicle needs are met and that you stay informed during the shipping experience. 3. Can you load my cargo into a container for export? Yes, AWL Corp has extensive knowledge loading various types of cargo into containers for export to include blocking to prevent shifting during shipment. 4. Can you unload and store our cargo inside until ready for shipment? Definitely. We have access to storage facilities all over the USA and can arrange for inside or outside storage. 5. Can you assemble or disassemble our construction machinery? AWL is well versed in assembling and disassembling a wide variety of construction machinery. We always work to spec to insure that your machinery works properly and safely once re-assembled. 6. Can you unload, sort and package our products and maintain our inventory? Yes, we will work with you to determine your needs to ensure that we meet all of your expectations for inventory management. 7. Do you provide shippers insurance? Yes, we can arrange to insure your high value cargo from the time it is loaded onto the truck, until it is unloaded at the destination. 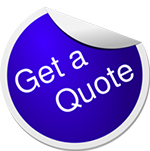 Let us know the declared value of the shipment you want to insure and we will calculate your cost based on that value.